In our world there is a need of model couples living beautifully in their marriage. We find written in the New Testament about a couple – Aquila and Priscilla that have left the following seven very beautiful and worthy lessons to be learned and followed by every Christian couple. It is not easy to change your place of residence, especially when you are forced. Today, material needs make men send their wife to an end of the earth and the man himself goes to the other end. Unfortunately, it has become a model for some and often, people who are not lacking send their wives to work in other countries and agree to be separated for long periods, just for material gain. Even sadder it is to see that some Christians have started to rush for gaining wealth and sacrificed their relationship and their marriage. 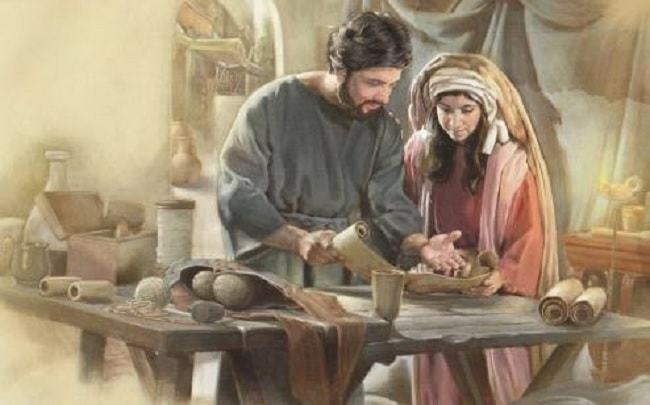 While overcoming material difficulties, but also working for Christ, this wonderful couple knew to work together always. Because they lived in Rome, then in Corinth, and later in Ephesus, they had to change their residence frequently. But, in any place, their house was open for people and God’s work. If they were driven away by Claudius together with all other Jews from Rome, then from Corinth they left for Ephesus joining Paul and stayed there to preach the Way of the Lord and to plant a church. At the time when Paul wrote the first epistle to Corinthians, the church has been already gathered in Priscilla and Aquila’s house. It is sad to see how some people are willing for Christian mission, but after they married, they become too comfortable as to leave somewhere. After they had listened to Apollos in the synagogue from Ephesus, Priscilla and Aquila invited him to their home and had shown him the Way of God more accurately. Not traditions, not customs, not human opinions, not doctrines of one or another church, but they have shown him the way of the Lord more accurately. They did not have problems like who is or is not first, because they treated with mutual respect. Neither Paul nor Luke make any distinguish in their writings between these two, showing that both the husband and the wife have worked with all dedication in close cooperation. One time they say “Aquila and Priscilla” and another time “Priscilla and Aquila. None of them rejected the other, but worked in the most beautiful and fruitful collaboration. So God help us all behave in our marriage for the cause of the Gospel.